There are many advantages to caring for an aging family member at home instead of moving them to an assisted living facility. For instance, you can spend more quality time together and have the peace of mind of knowing they are living in a familiar and comfortable environment. It’s important to watch for the signs that indicate your loved one needs live-in care. If your loved one requires constant or near-constant attention, you will need someone in the home who can either take organised shifts with you or take over the care completely. With the help of a live-in carer, you can get plenty of rest and personal time and your loved one’s care needs will not be overlooked. Diseases like Alzheimer’s and Parkinson’s make it extremely difficult for seniors to take proper care of themselves. During the formative stages of these illnesses, assistance with light housework, meal preparation, and transportation may suffice. Being clean makes seniors feel good about themselves and is also an important part of maintaining good health. However, activities like bathing, dressing, and brushing teeth can become more challenging if mobility, balance, and coordination start to decrease. 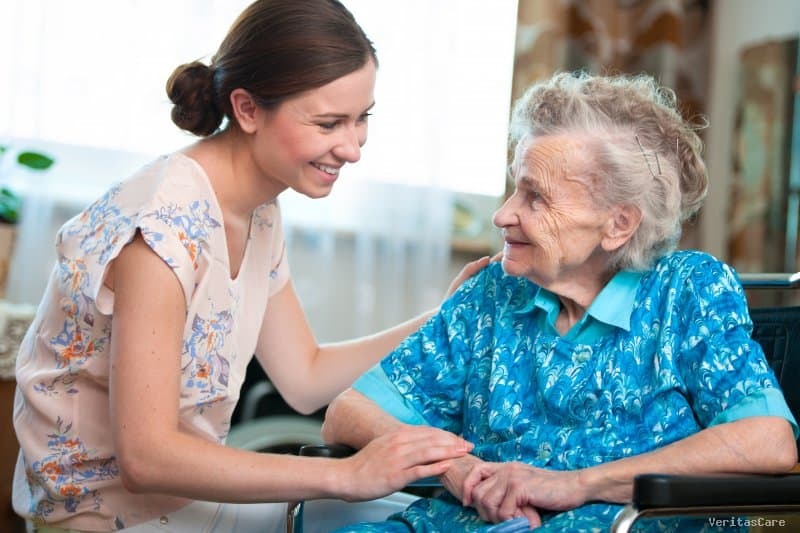 If your loved one is having difficulty maintaining personal hygiene despite regular visits from an in-home caregiver, or if you can no longer physically assist with these activities on your own, it might be time to consider live-in assistance. Sundowning, which is common among seniors with dementia, occurs when adverse behaviours such as aggression and wandering increase significantly during the late afternoon and evening hours. As a family caregiver, this is probably right when you’re ready for your day to start winding down. Live-in carers can take over when these behaviours become too difficult to manage, and they can even watch your loved one overnight to make sure they do not wander outside of the home. With the help of a live-in caregiver from Veritas Care, your loved one can remain safe and comfortable at home. Our dedicated caregivers can assist with mobility, prepare nutritious meals and help with grooming, bathing and many other tasks. For more information on our live-in care services, please call 0800 731 8671 to talk to our dedicated staff.